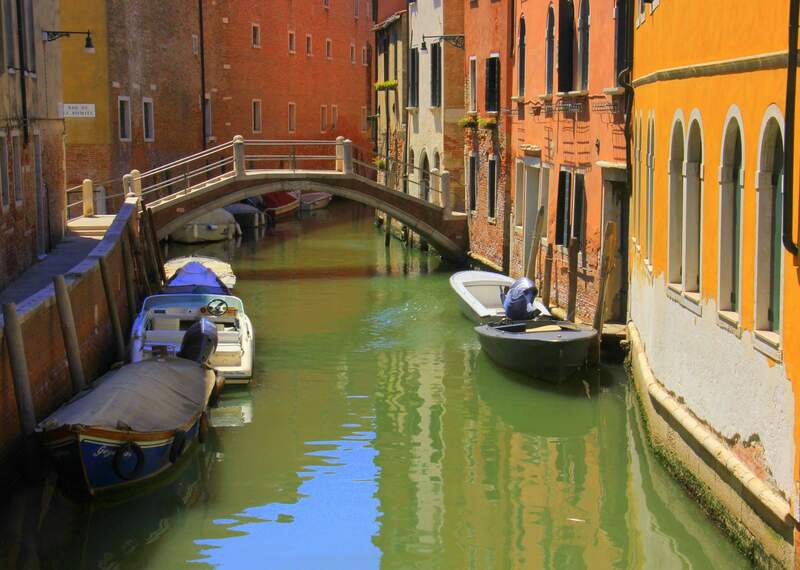 I usually have a lot of words in me and have never really had many travel instances which have left me speechless. 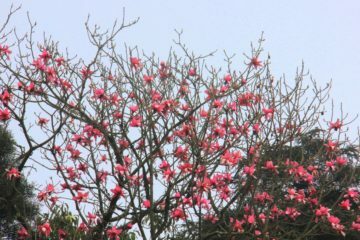 Nature’s beauty is overpowering and I have always given in to its exalted nearly divine status happily. But nothing man made has ever moved me into silence and even the giant pearl like ” teardrop on the face of eternity”, Taj Mahal had not affected me much. I remember that as I had sat in front of the Taj’s pristine beauty, I had peacefully minded my scampering daughter and mentally ticked off one of my biggest dreams from the travel bucket list. 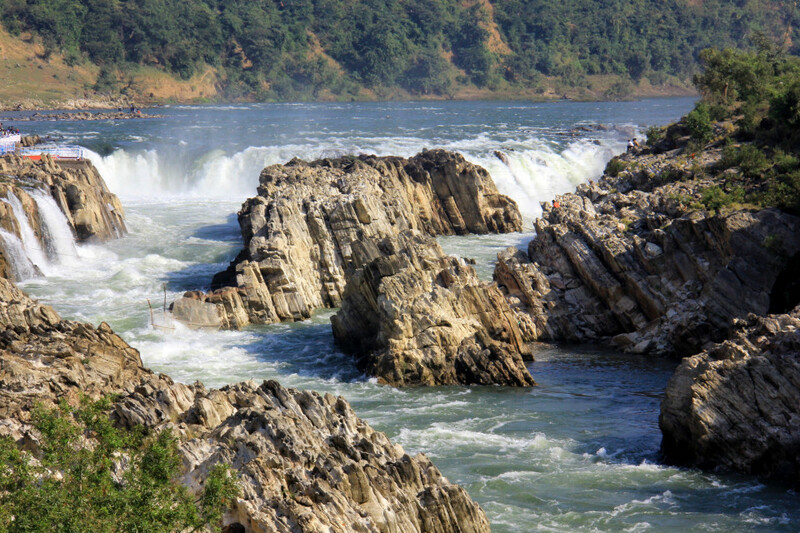 The world is filled with man made marvels and I have been fortunate enough to visit quite a few of them. From Machu Pichu to Pyramids of Giza, Khajuraho Temples, Great Wall of China, Mount Rushmore, Kremlin, Leaning tower of Pisa, Panthenon, Hagia Sophia, Burj Khalifa to Naqsh-e-Jahan Square, peace have always eluded me at these human creations and I have come back with great photos (and less poignant memories). 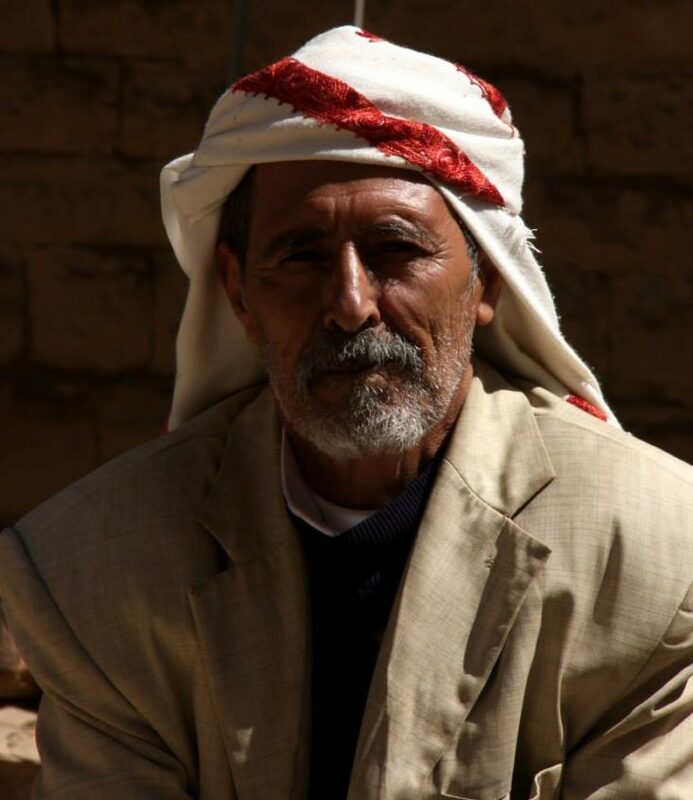 Only Petra had left me completely mesmerized and it had been the combination of a lost civilization, nestling in beautiful pink mountains that had made it so memorable. 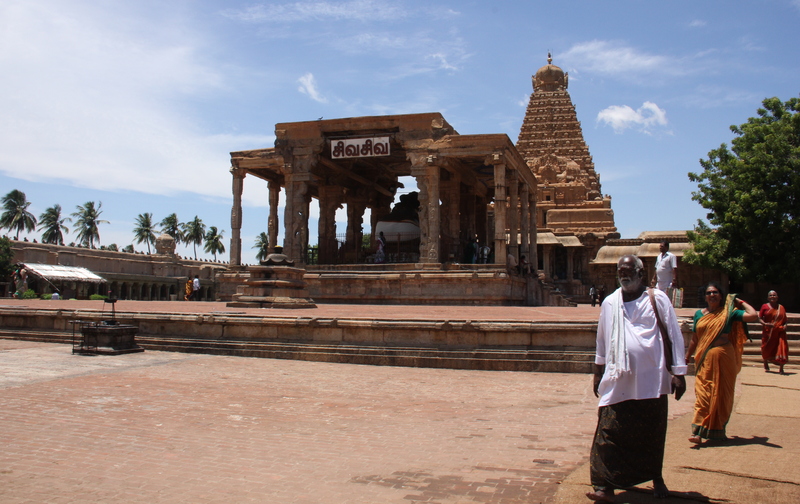 I had not expected a repeat, when Brihadeeshwara Temple of Tanjore had burst into my travel scene. Already a legend, the exquisitely beautiful UNESCO World Heritage Site of Peruvudaiyar Kovil (as it is also known) had not been the most mind blowing monument in the world, but it indeed had been a magnificent example of excellence of Dravidian art. The temple had touched my soul for good and had left me wanting for more. However, it had not been the intricacy of the monument’s beauty, rather its very strange reveal some, conceal more feature along with its sublime complacency to be used as a historical script which had got it embedded in my mind forever. A magnificent architectural delight, Brihadeeshwara had been filled with scriptures, exquisite carvings, heritage and religious vibrancy, all of which had spoken volumes of its benefactors and had given tantalizing clues to its many unsolved and often untold mysteries. 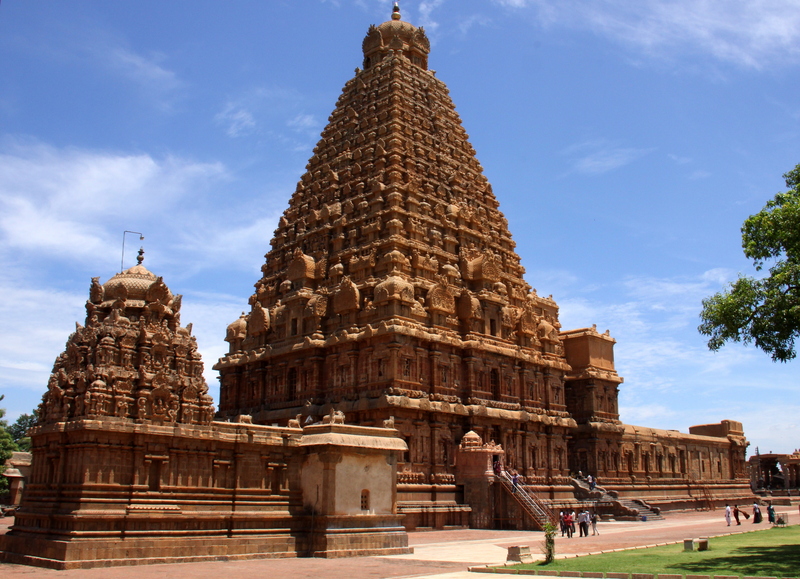 It had indeed been a mega puzzle and dedicated to the Hindu god Shiva, the glorious monument had been built by the great Chola king, Raja Raja Chola I. The construction of Brihadeeshwara Temple had been completed in 1010 A.D, in almost 5 years and the mega structure had turned 1000 years old in 2010. 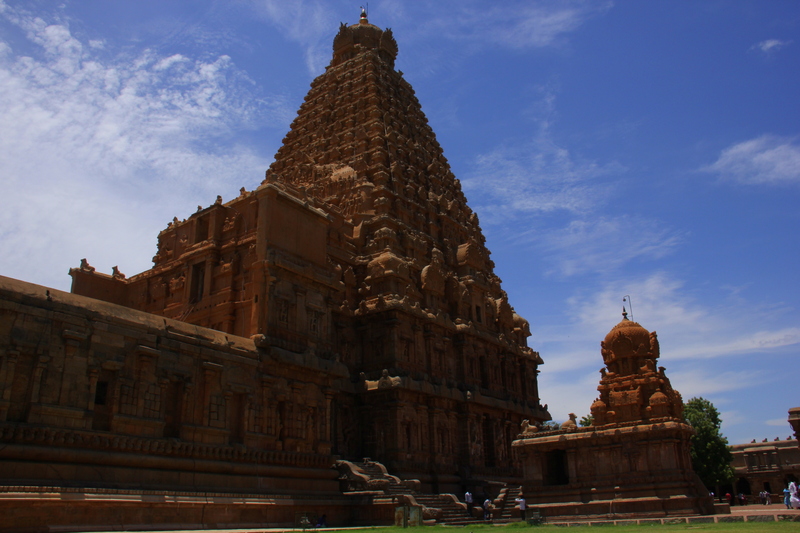 One of the largest and most beautiful temples in south India, its conception is believed to have happened in a dream. Raja Raja Chola I had been in Sri Lanka at that time, where he had been the emperor, when his wish to build a mammoth temple had occurred. 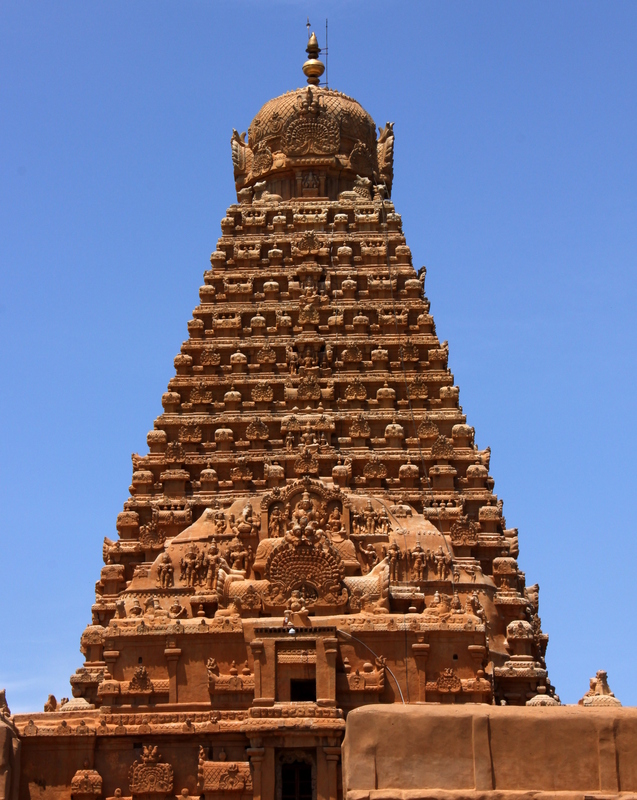 The great emperor had returned to Tanjore and had built a grand temple to proudly display Chola power, wealth and artistic excellence to the world. He had also loved the monument to the core, had held most royal ceremonies there and the daily rituals of the main deity, Shiva had mirrored those of the king. 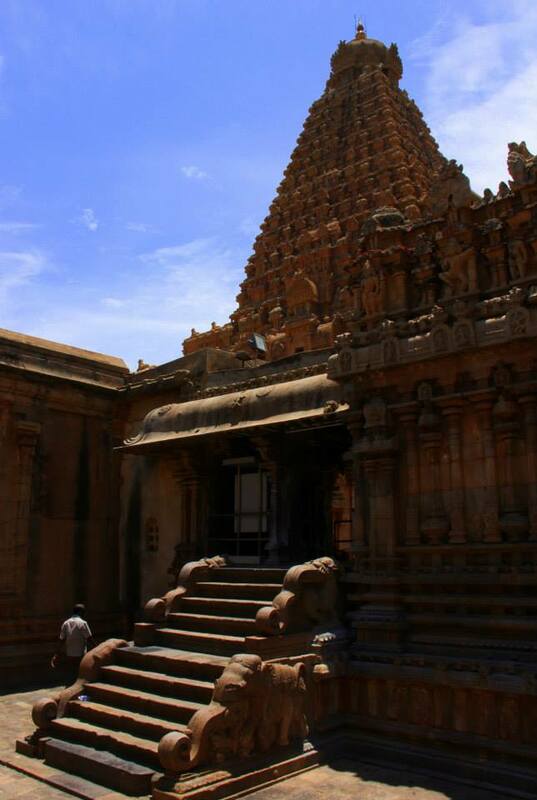 An epitome of Dravidian architectural style and Tamil civilization, the temple had showcased brilliance of Chola arts such as sculpture, painting and brass casting and in my eyes had been nothing short of a magnificent living, breathing and much treasured history book. Sitting on a broad square base inside the Sivaganga Fort, a moat had surrounded the temple on 2 sides and the grand Anaicut river had flowed past it on the south. 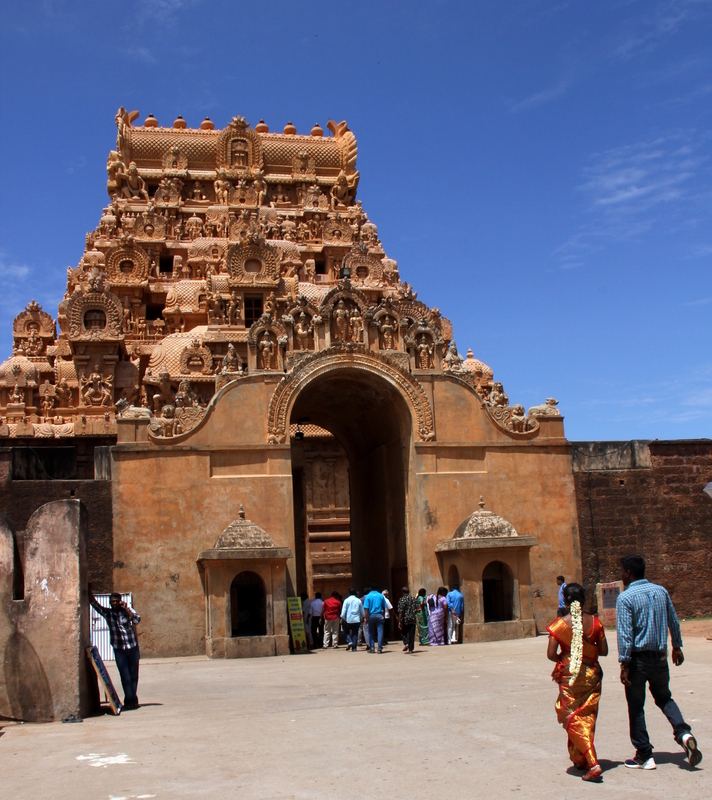 An imposing and intricately carved gateway, flanked by 2 shrines had beckoned visitors to the inner depths of the temple, from where it had further branched into 2 more beautiful gopurams/towers and a huge stone courtyard. 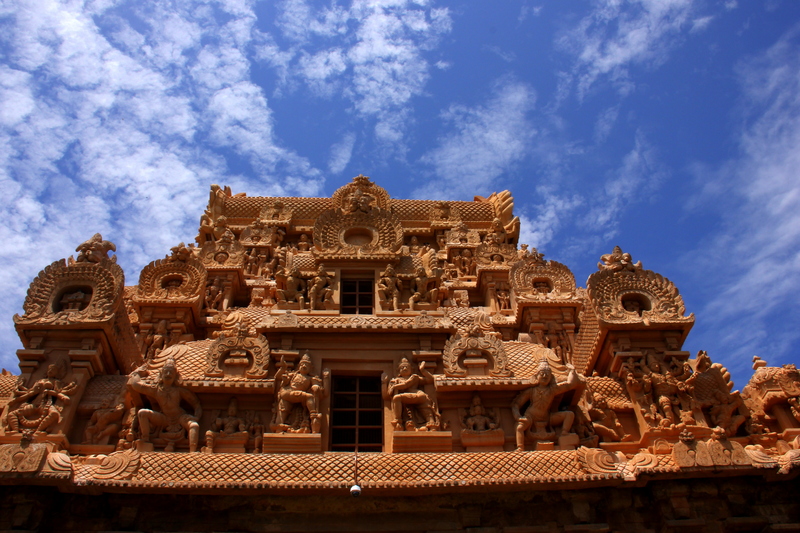 The stunning main shrine Peruvudaiyar had stood at the western end of the courtyard and the entire complex had been enclosed by a cloister and 2 huge adjoining walls (topped with gopurams/towers). 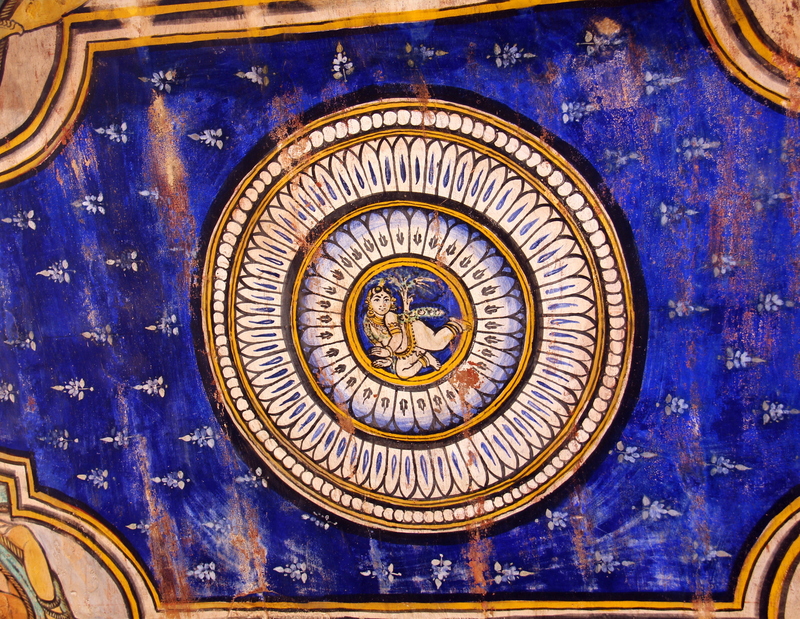 Stunning frescoes, miniature granite Nandi bulls, different less important gods, goddesses and rows of Shiva lingams (stone phallus of Lord Shiva, a Hindu religious symbol) had decorated the cloister and colourful south Indian silk sarees had dazzled through them. Mirror smooth paved stones, cool and almost oily to touch had lead me around the main shrine in a dazed circumambulation and bizarre chariot/temple wooden adornments had stared at me grotesquely from their barred cells. 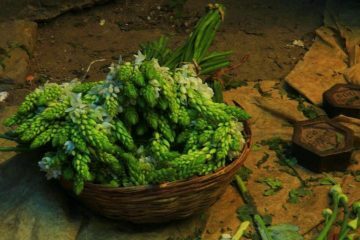 It had been a very hot afternoon, when I had peeped into the dark depths of flower filled small shrines of the cloister and had clucked in disapproval at insensitive graffiti etched over priceless wall paintings of the temple. 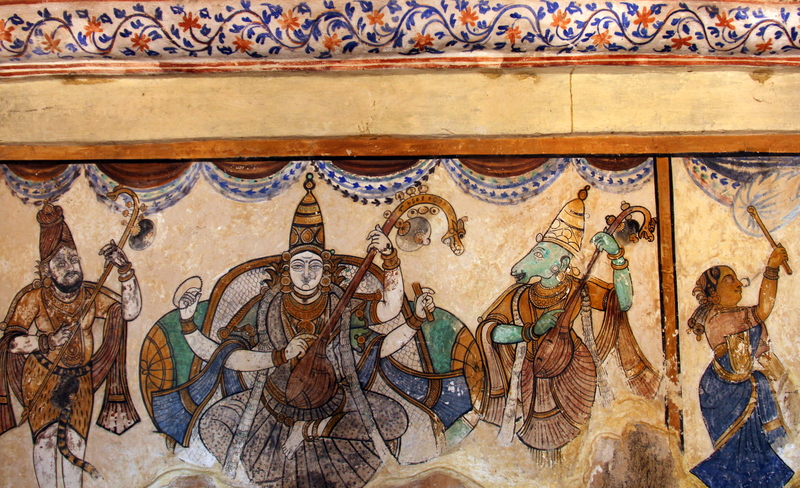 The frescoes of Brihadeeshwara Temple had been one of the most glorious ones in whole of India and all the ruling Tanjore dynasties from Chola, Nayakas, Marathas etc had left their mark on the stone canvas of the monument. 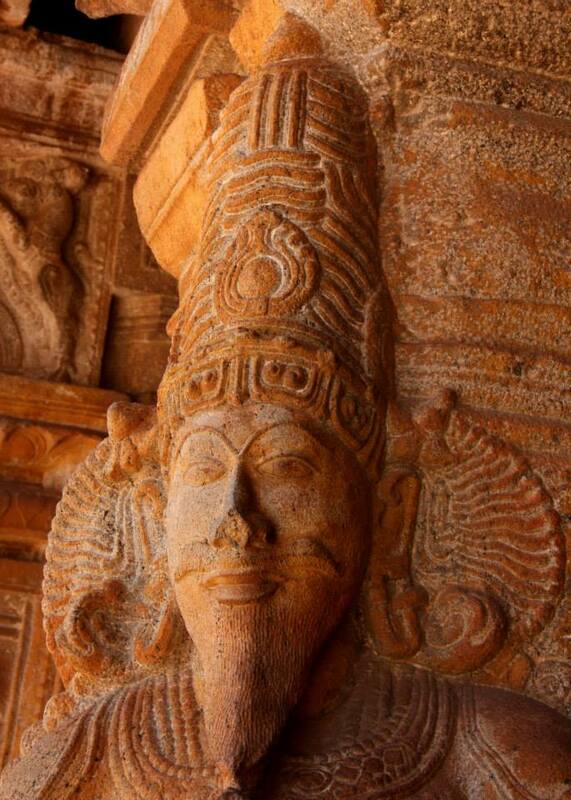 Interestingly, the foreign invaders too had found the temple irresistible and an European man complete in Western garbs and hat had been found immortalized among the stone carvings of the temple. 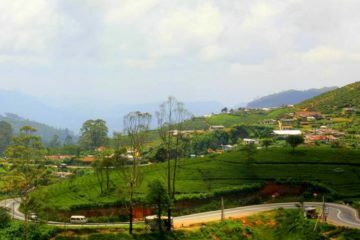 I had stared at the massive Peruvudaiyar shrine in awe as the old stones smoothed by thousand years of footsteps had felt soft under me and had watched the azure blue sky deepen into an almost indigo blue. 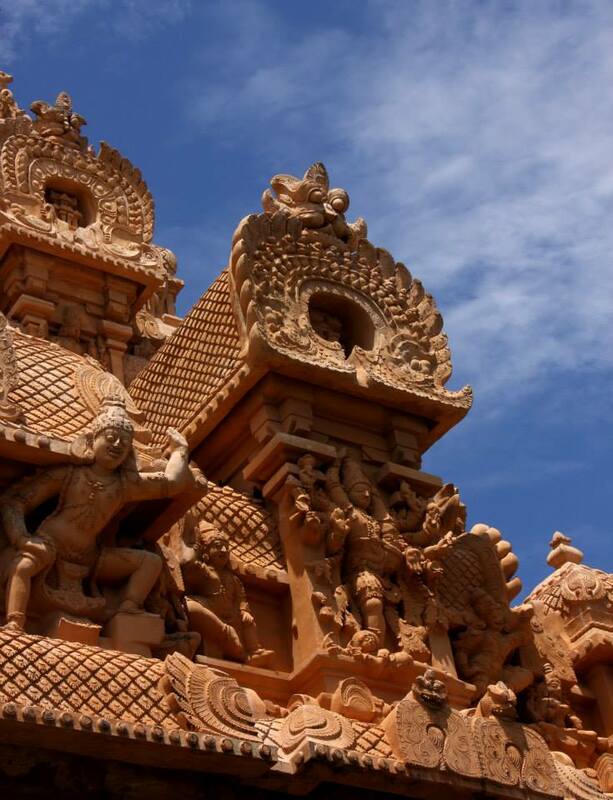 Pigeons, fan tailed pink footed doves and colourful Tamil devotees had flitted across the hot stony intricacy of the temple and fish scale clouds had stretched above us. The temple had been buzzing with people and in spite of the hot human carnival, I had found a nearly impossible peace and spiritual quiet amidst its ancient stony corridors. I had been more than happy to just relaxe at the cool, oil lamp and incense sticks flecked stony cloister, but time had been racing and the monumental temple had beckoned me to explore its interiors. It had loomed on a spacious stone plinth in the middle of the courtyard, which had been nearly ablaze from the harsh noon sun and I had hop skipped across the area to dash inside the temple. The interiors had been awe inspiring, soothingly dark, comfortingly lit up with oil lamps and torches and human sounds had bounced off its rich stone workmanship. The emperor Raja Raja Chola I had indeed been a great ruler and had gracefully immortalized the names and addresses of all his dancers, musicians, barbers, workers and poets on the temple wall. Built as per ancient architectural texts of Vaastu Shastras, the stone inscriptions had mentioned Kunjara Mallan Raja Raja Perunthachan as the monument’s main architect (and engineer) and interestingly a tiny part of Chola legacy had still lived on in today’s world. 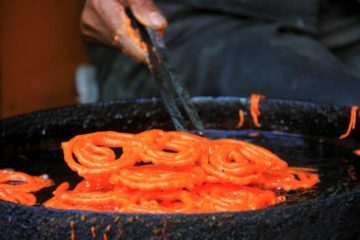 The royal architect’s descendants had escaped getting lost in the gap of a 1000 years and had been found to practice the ancient art of Vaastu Shatsra even today. 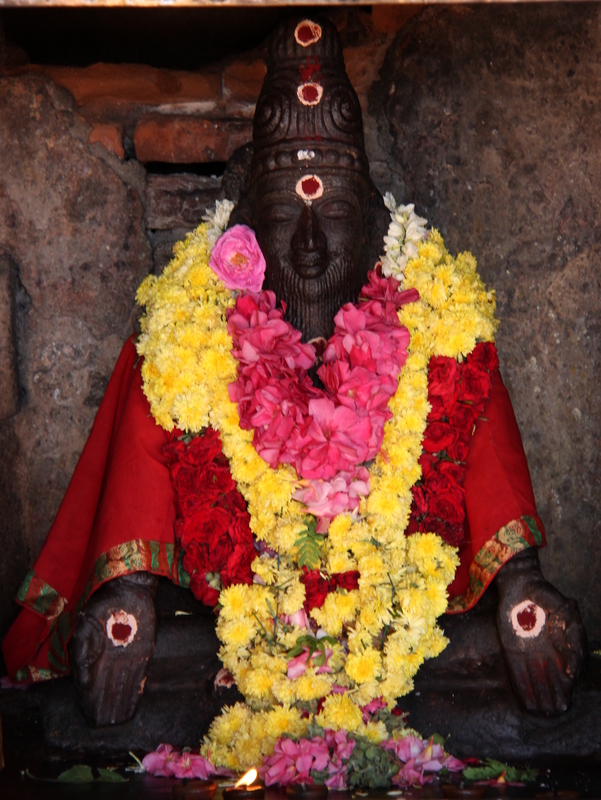 The presiding deity of the Brihadeeshwara temple had been, a mammoth more than 12 feet tall Shiva Lingam, which had originally been called Adavallan (the one who is good in Dance) and it could not have been more befitting for a temple which revolved around dance, music and classical south Indian art. 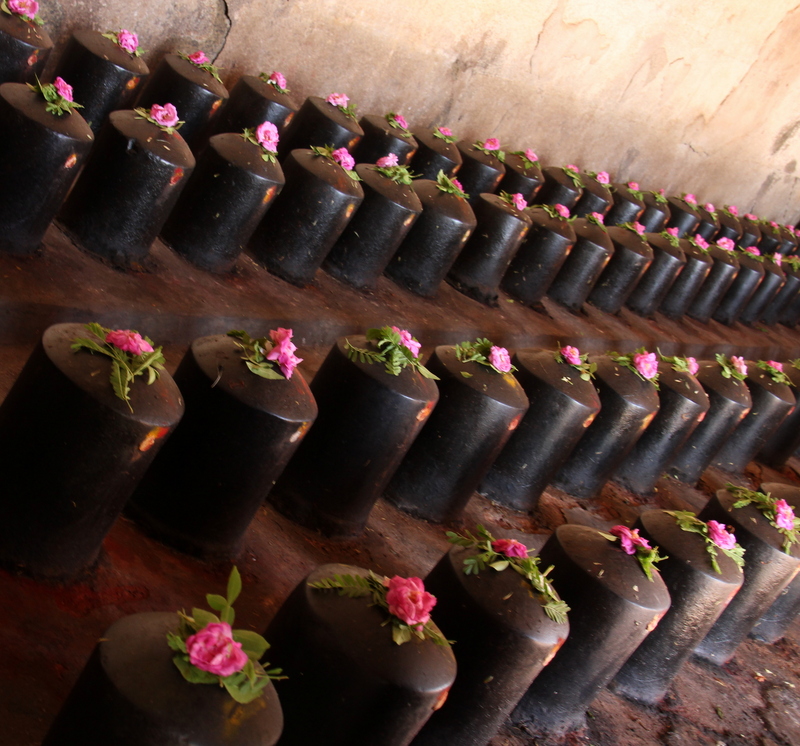 The Shiva Lingam had been guarded by a massive 16th century 12 feet monolithic statue of Nandi Bull, the ever faithful mount of Lord Shiva and the statue had been a loving addition from the Nayaka dynasty. Brihadeeshwara had been made up of more than 60,000 tonnes of stones, held together with interlocking system (without any binding materials) and had housed the famous natural acoustic system and hollow temple towers. A long, colonnaded assembly corridor had lead to the holy sanctum which had sat underneath a superb Vimana (tower), one of the main attractions of the complex. Rising to a height of about 216 feet and finely decorated with pilasters, niches and images of Hindu gods, an octagonal sikhara or dome had crowned the tower and a capping gilded Kalasa or finial had dazzled gold against an azure blue sky.The assembly corridor’s southern steps had the 2 larger than life stone dwarapalakas (temple guardians) guarding the shrine fiercely and carvings of many lovely, graceful deities had covered the vimana’s lower levels. Rich workmanship of ancient Tamil artisans had oozed out from the frozen figures as Shiva had emerged in different stances, incarnations and moods and other deities had posed around him in fluid movements. 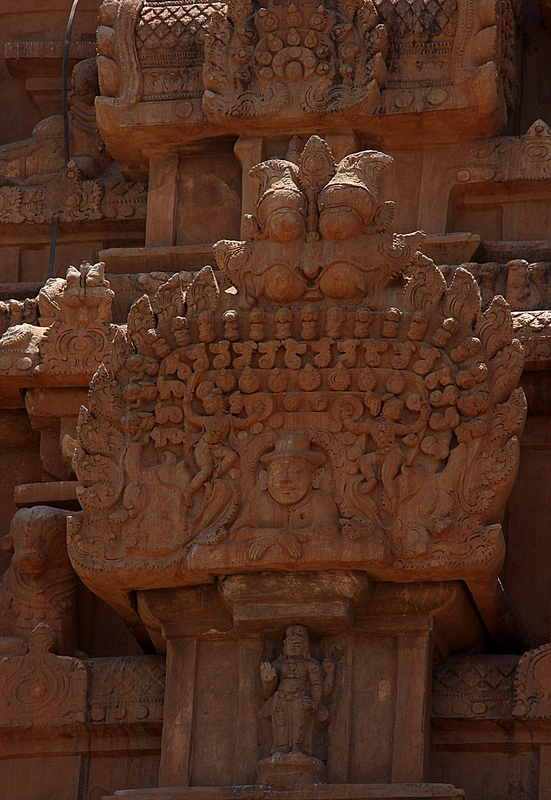 The exquisitely carved temple had also been known to be a platform for Chola classical dancers to showcase their talent and given the Cholas imperial love for art, the idea had not seemed very far fetched. The carved graceful dancers had been seen depicting 81 karanas (synchronized movements of hands and feet) in Bharata Natyam (classical Indian dance) and these karanas had been found mentioned in the ancient text Natya Shastra (Scripture of Dance) by its author Sage/Muni Bharata. 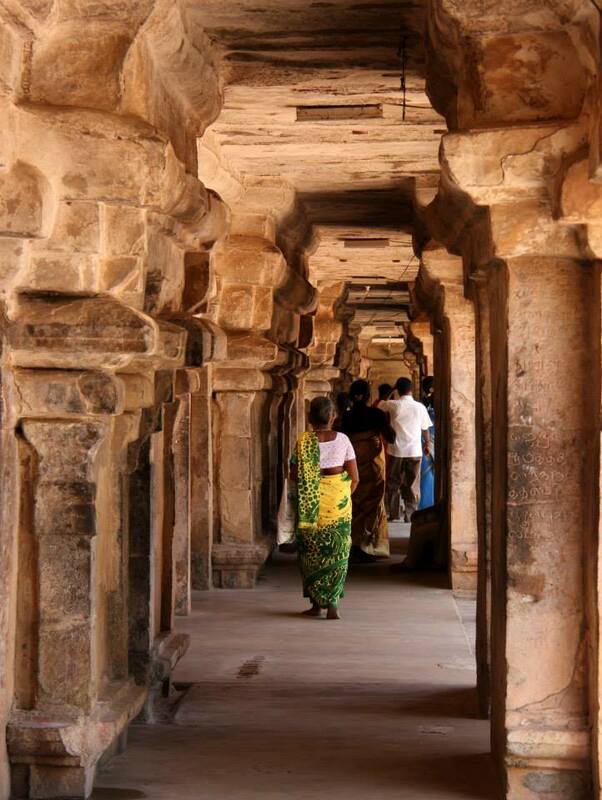 The main hall, which had been used by the temple dancers and musicians, had housed the musical pillars and they had produced different sounds when tapped, thus creating a movie theater like surround sound system during the divine performances. 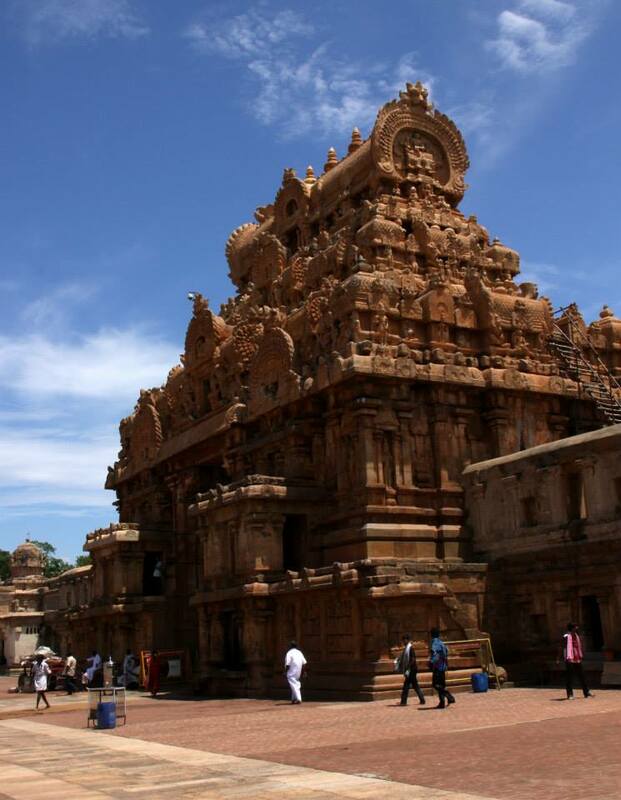 One of the finest all granite temples in the world, everything about Tanjore’s architectural jewel had been larger than life, steeped in royal grandeur and absolutely awe inspiring. 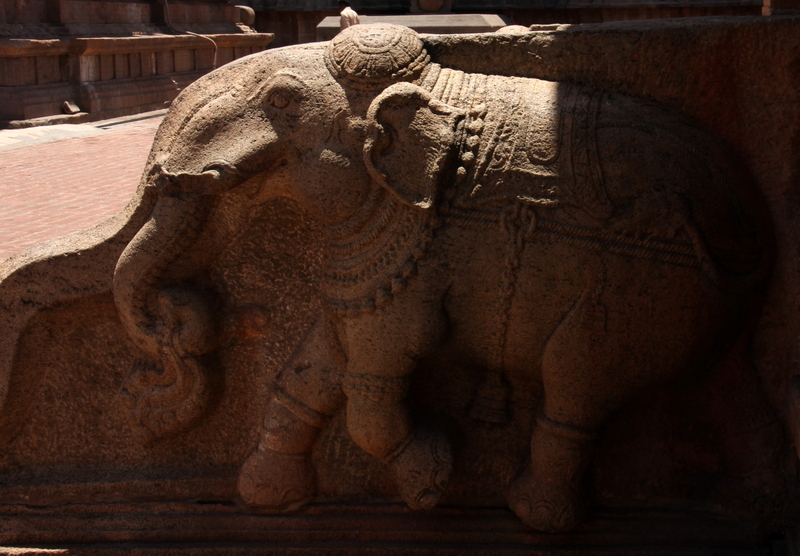 Hard to carve, granite had not been a locally found stone yet the Chola passion to create a richly carved granite temple of monumental stature had continued puzzled historians throughout history. The tall monument had just not been a religious center and a history book set in stone but also a busy commercial hub. 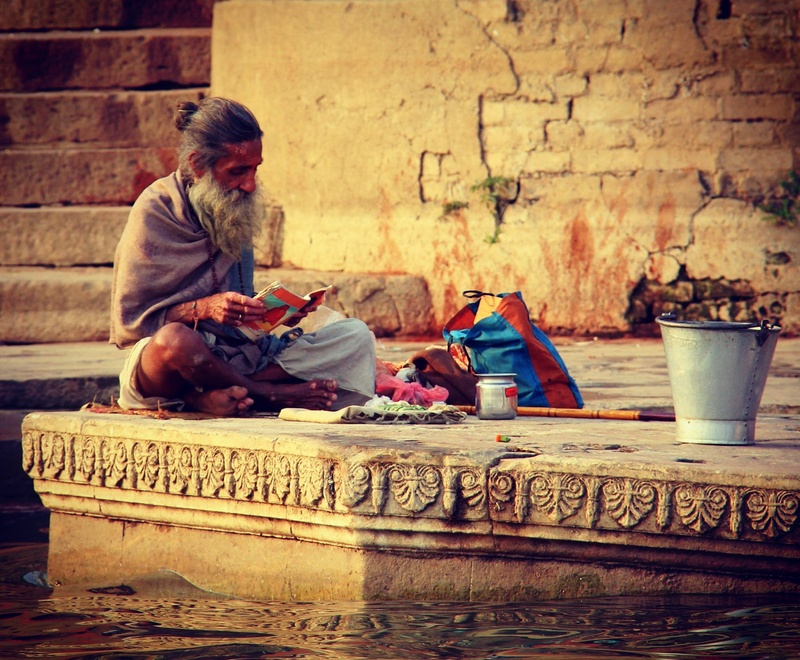 The temple had maintained a staff of more than 1000 people in various capacities, including Brahmin priests, 400 being temple dancers, record-keepers, musicians, scholars, and craftsman of every type as well as housekeeping staff. 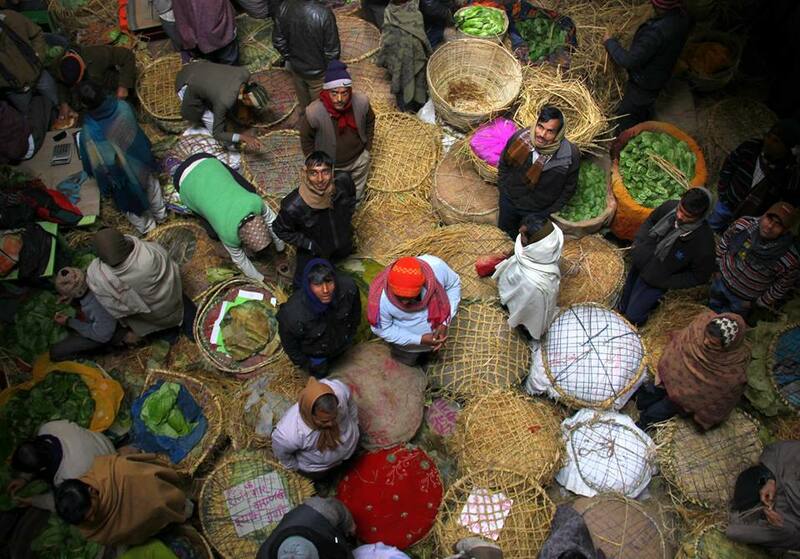 It had buzzed with busy commercial activities in those days as flower, milk, oil, and ghee merchants had bustled in and out of the complex with their load of regular supplies. An open air museum of south Indian art and period lifestyle, inscriptions covering the temple had been found mentioning great details of different kinds of jewels used in those times. 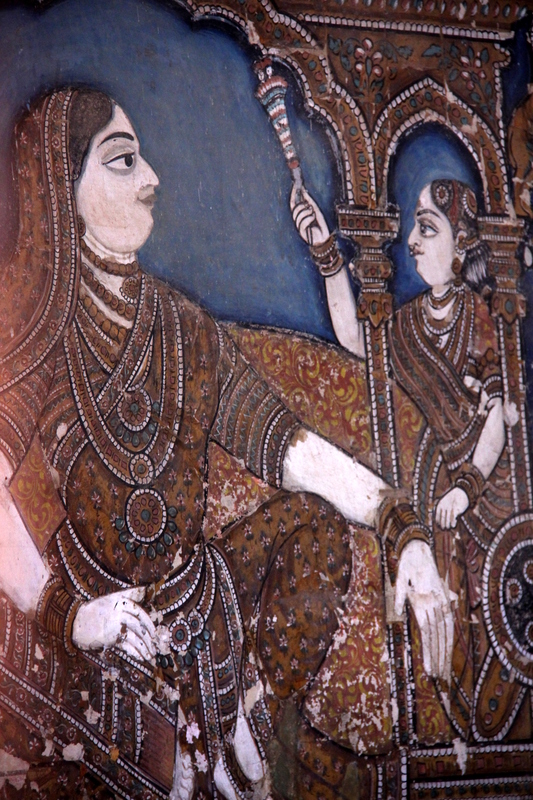 A total of 23 different types of pearls, 11 varieties of diamonds and rubies had been found mentioned and a portrait of Raja Raja Chola I (the 1st instance of a royal portrait) paying obeisance to Lord Natarajaran had been discovered. 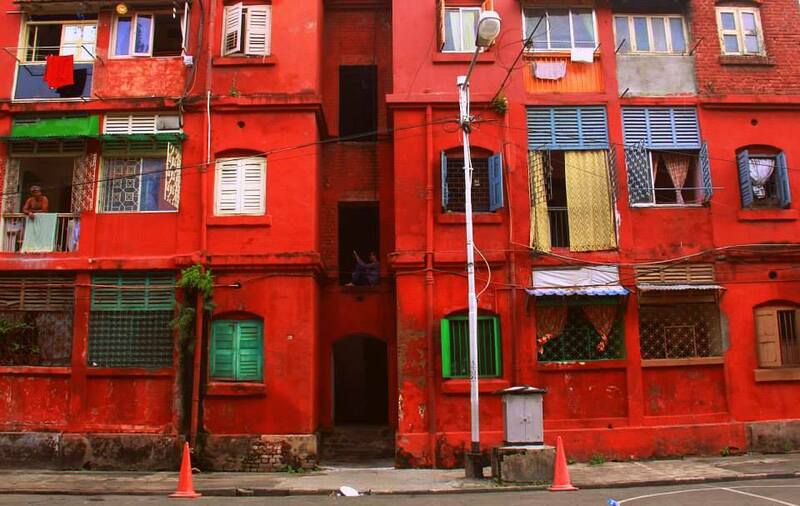 History had been trapped in sculptures, inscriptions and frescoes of the temple and though badly damaged owing to years of exposure to environmental elements, human use and graffiti, the beauty of their vivid colours, fluid brush strokes and grace had been breathtaking. 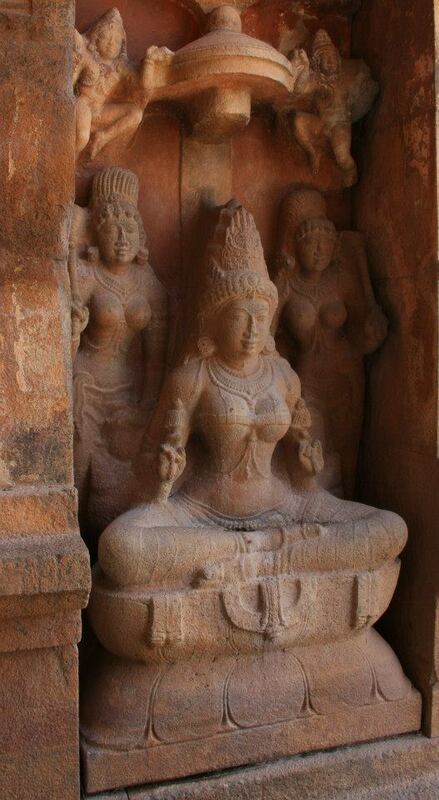 Although Brihadeeshwara had been a Chola truimph, many following dynasties had added, renovated and revered the grand monument just as its creator, thus giving it many layers of grandeur, dimension and mysteries. 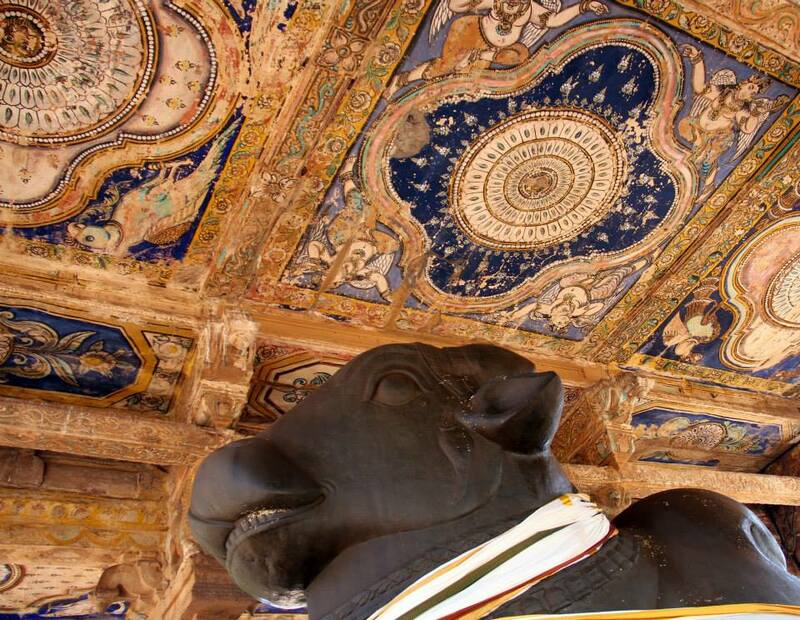 For example, while the main shrine had been built by the Cholas, it had taken a Nayak king to install the mega sized Nandi Bull granite statue, one of the temple’s highlights. With all its expression of power, wealth and artistic inclination of the imperial Cholas, Brihadeeshwara had never been completed by them. Somewhere in the middle of giving the finishing touch to its captivating beauty, the temple had been left incomplete and the dynasty had abandoned it for another new project. 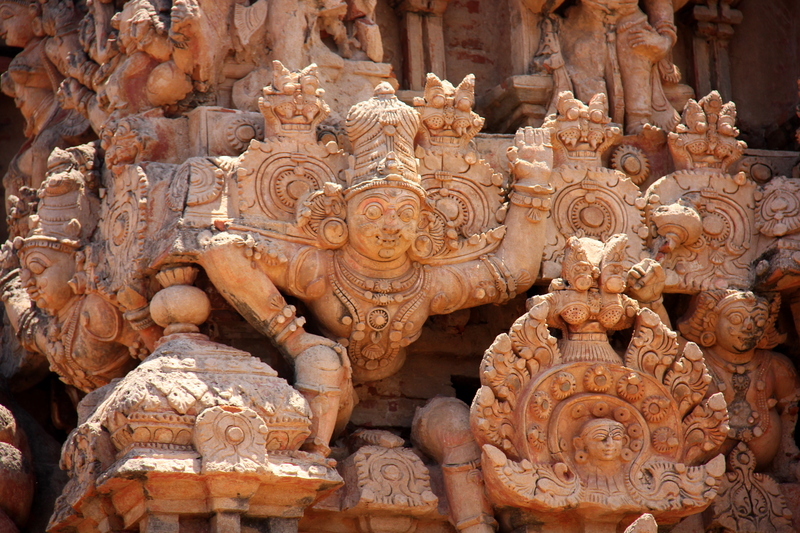 With 20 out of 108 Bharatnatyam sculptures on the pillars of the main hall, left uncarved, the work on the temple had seemed to have stopped abruptly. It had then been discarded, just like Tanjore city, by the son of the founding king Raja Raja Chola I, when he had moved his capital to nearby Gangaikondacholapuram. 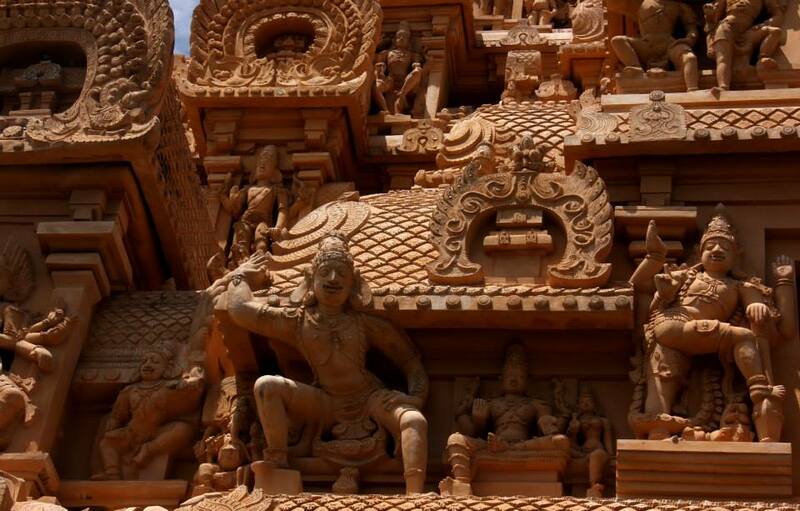 He had immediately started building a new temple at his capital, instead of finishing his father’s dream project and no explanation behind the installation of the Buddha statue at a Shiva temple had been found yet. Another intriguing part, had been the discovery of nearly 100 canon balls which had been found by the ASI (Archaeological Survey of India) team, in a locked room at a gopuram near the entrance. It had been during one of their maintenance run, when the team had discovered found them in a room at the basement, thus giving rise to suspicion that the beautiful temple might have had served as a fort during wars. Mysteries, flowered coiffures, south Indian silk colours and an impossibly blue sky had made time race at Brihadeeshwara Temple and I had been lucky enough to witness a sunset there. The sun had finally softened down its aggression and pigeons had cooed loudly in joy from the stony crevices. 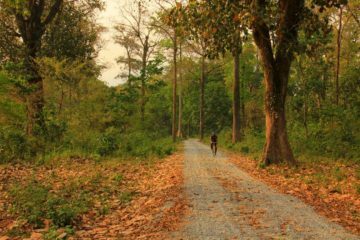 I had relaxed at the cloister, caught rays of red, orange, yellow and pink and finally when the tawny lion coloured granite monument had finally blazed with lights against a dusky sky’; I had headed back towards Trichy. Bidding goodbye to Tanjore and its royal mix had been hard, but it had been one place in Tamil Nadu that I knew I would come back again. 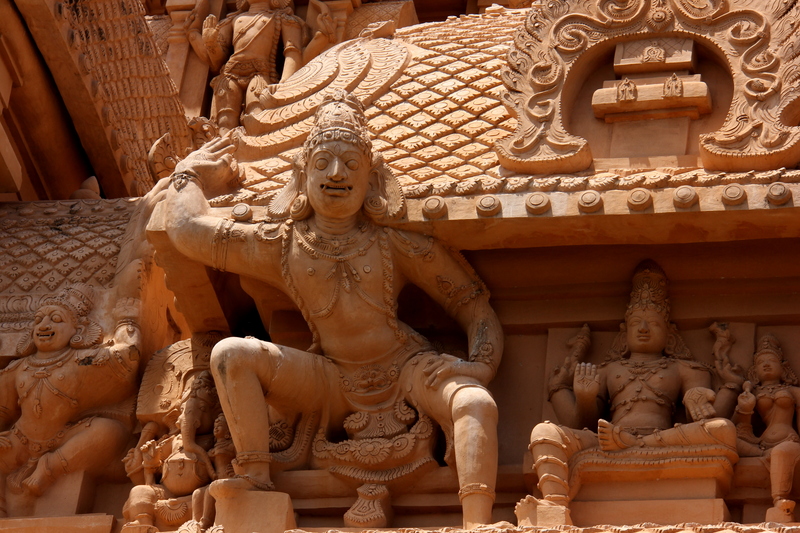 TRAVEL TIP – Accessible by road, rail and air, Tanjore is a popular tourist destination. 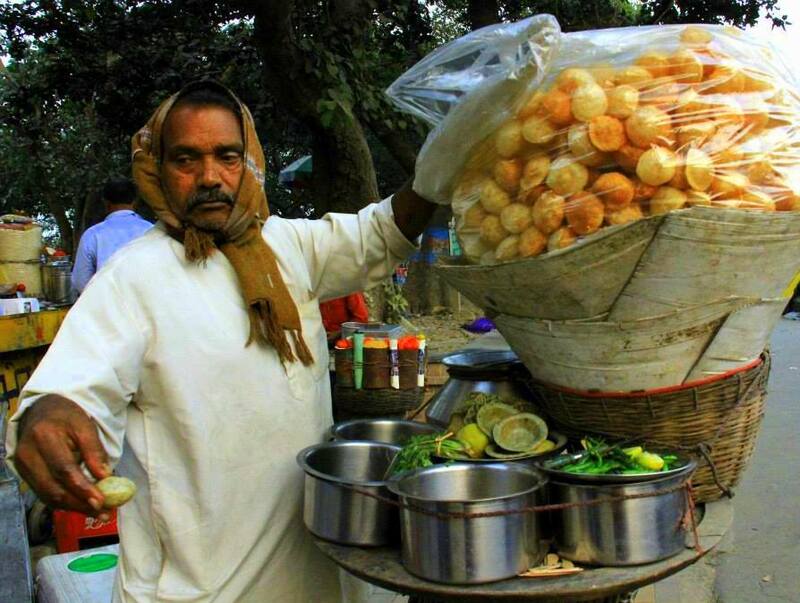 The nearest airport is at Trichy and a cycle rickshaw is the most easiest way to navigate around the busy city. Lots of accommodations (of all budgets), restaurants, cafes etc are found and all roads in Tanjore lead to Brihadeeshwara Temple. The best time to capture its grandeur is at sunrise/sunset. Other places of interest include Palace & Saraswathi Mahal Library (possesses very old manuscripts mostly in Tamil and Sanskrit. The library is situated inside the Saraboji Palace which contains many rare paintings depicting various Indian cities during the reign of King Saraboji), Schwartz Church (constructed by Rev. Schwartz more than 200 ago) etc. The Nayak royal palace compound houses an important library and museums including a famous collection of bronzes. The most lavish celebrations at the Brihadishwara Temple, associated with the birthday of King Rajaraja, in October is unmissable. An eight-day prestigious celebration of Carnatic classical music is held each January at the Panchanateshwara Temple at Thiruvaiyaru, 13km away, to honour the great Carnatic composer-saint, Thyagaraja. The precious stone and gold paint decked traditional Tanjore paintings, Tanjore dancing dolls and brass figurines are some of the city’s most popular souvenirs. 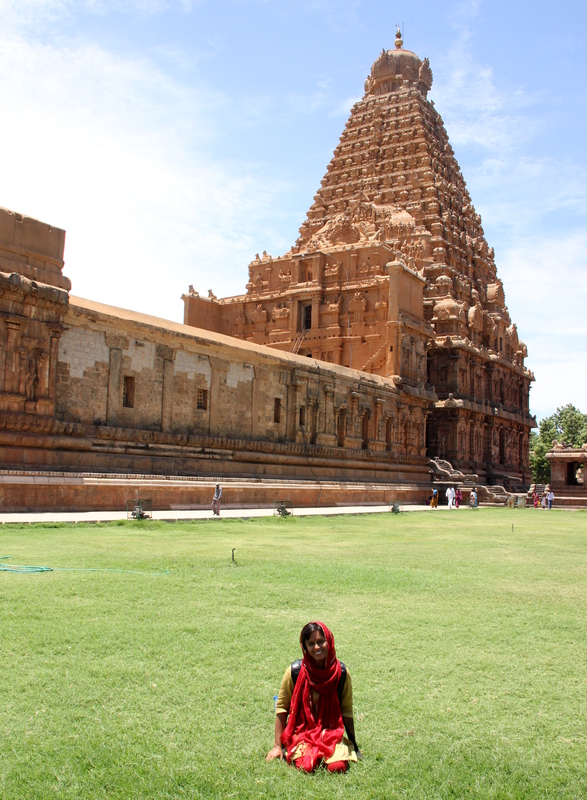 I heart Tanjore too.. Amazing place! 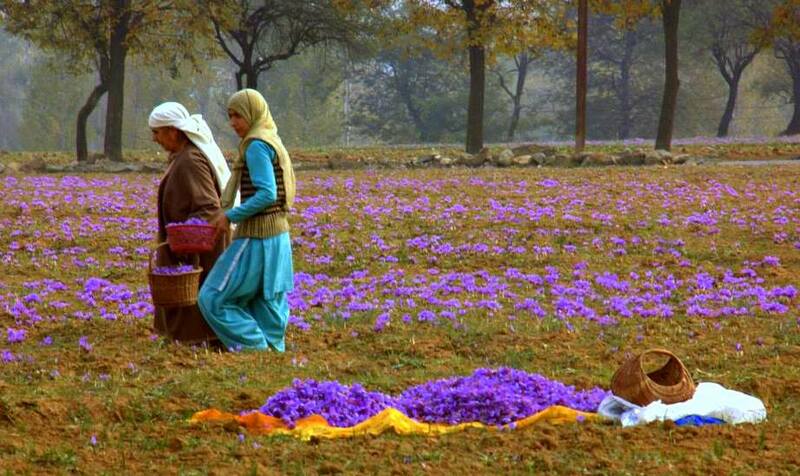 This looks like a must visit Place. Many thanks for highlighting Tanjore.